Our knowledgeable service technicians have the mechanical expertise and first rate equipment to meet all of your HVAC needs. Sheet metal, piping and plumbing installation and more! 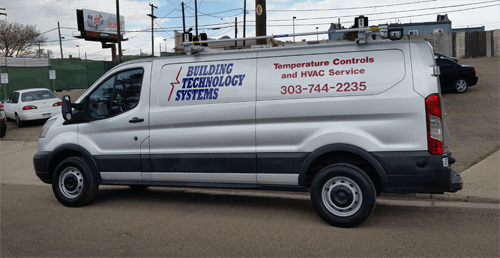 Building Technology Systems has been providing premier HVAC services to our Colorado customers since 1993. Today, BTS provides turn-key building management systems and mechanical maintenance services for a wide variety of clients in both the private sector and government facilities. One of the strengths of Building Technology Systems has always been the mechanical expertise of our service technicians. We pride ourselves on providing well-trained, well-equipped, knowledgeable service representatives who carefully analyze problems and get our customers’ HVAC and building management systems back on line quickly. Our ability to repair complex systems has earned us a loyal following of customers.